Bee Courses held biannually in May by BCMAL in conjunction with University British Columbia. Chilliwack Beekeepers offers certified introductory beekeeping course May through August. University of Manitoba and MAFRI jointly offer a non credit course "Beekeeping for the Hobbyist"
Ontario Beekeepers' Association Tech Transfer program offers 3 one day introductory courses. University of Guelph Honey Bee Research Centre offers Introductory Beekeeping courses. Chatsworth Honey offers beginner beekeeping workshops in spring. Lacelle's Apiary offers hands-on beginner beekeeping workshops in spring and summer. "The Urban Beekeeper course" at Algonquin College, Woodroffe campus.Register for spring course. 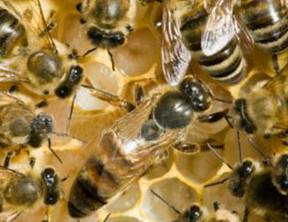 Api Guru offers a one day course for the urban beekeeper. City Farm School offers a 6 week course over winter on Introduction to Ecological Urban Beekeeping. Miel Montreal offers a course of instruction on Urban Beekeeping. Dalhousie University offers The Modern Beekeeper, a hands on course in 4 modules that are timed with the annual beekeeping cycle. Centre for Open Learning and Educational Support offers Introductory Apiculture and Honey Bee Biology, University of Guelph. Penn State University - Honey bee courses.